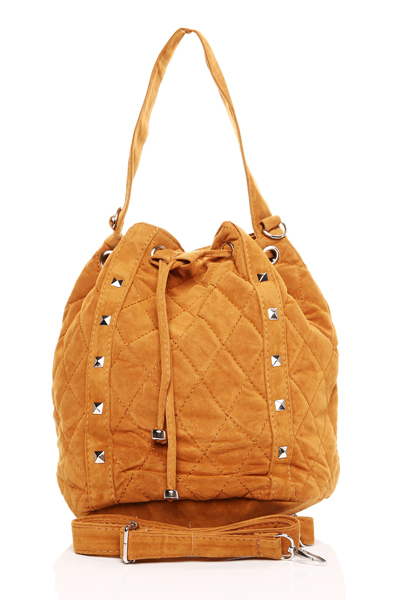 Stud Embellished Suedette Drawstring Bag For £17.99! Why not buy as a gift for a friend, we can gift wrap and send off for you. 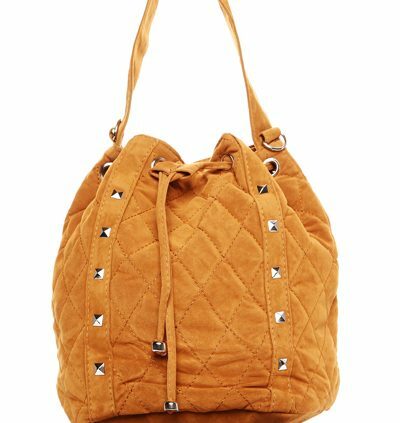 Great bag…would easily hold a tablet or a small lappy .. handy pocket on the back for phone or house keys.. the strap fits over shoulder without being tight .. lovely bag!